Barbara Palvin is a Hungarian model, the face of the brand L'Oréal Paris (2012). She was ranked number 23 on the Money Girls list by models.com (2013). Barbara was born on October 8, 1993, in Budapest and became the second daughter of Agnes and Bens Palvin. Barbara was an active child, she liked to play football and singing. The girl studied at Ferenc Erkel School and later entered the gymnasium in Budapest. The creative biography of the model began at the age of 13. While walking with her mother in the park in Budapest, Barbara was noticed by the recruiter of the model agency Icon Model Management. The manager offered Palvin to take test photo shoots. The girl just needed the consent of the parents for work in the modeling agency. Agnes and Bens did not object, her parents were ready to do everything for their daughter's career. In 2006, Barbara went to Japan, where she participated in a photo shoot for Spur magazine and for clothing catalogs. The girl was noticed by representatives of the US and British publications, who contributed to the popularity of Palvin in Europe. When the girl turned 16, she signed an independent contract with the international agency IMG Models, whose representatives Mischa Barton, Irina Shayk, Liv Tyler, Milla Jovovich, Julianne Moore are known all over the world. In the late 2000’s a photo with the Hungarian model was on the pages of Jalouse, Glamor magazines, Vogue Italian magazine, on the cover of L'Officiel. In 2010, Barbara Palvin appeared three times on the spread of the Russian Vogue magazine. The girl also signed a contract with Chanel Beauty. In 2011, the Hungarian model starred in the video Forbidden Euphoria for Calvin Klein. Barbara also appeared in the advertising campaign of the brands New Yorker, H&M, Pull and Bear, Armani Exchange. Thanks to the high height and well set-up figure (the height of the girl is 175 cm, weight is 55 kg, the parameters are 81-66-93 cm), Barbara became a participant of the Prada autumn-winter collection in Milan in 2010. Soon Palvin attracted the attention of the famous fashion houses Miu Miu, Nina Ricci, Giles, Louis Vuitton, Emanuel Ungaro, Christopher Kane, Julien MacDonald, Jeremy Scott. The same year, the organizers of the Paris Fashion Week also invited the model and offered Palvin to wear Vivienne Westwood and Chanel dresses. In 2012, Barbara Palvin signed a contract with the brand of women's underwear Victoria's Secret, which is famous for choosing models with ideal body parameters. Barbara Palvin took part in shooting for the catalog of brand products from the PINK collection. In 2012, the girl signed another profitable contract with the L'Oréal corporation and became the official face of the cosmetics line. The name of the Hungarian model stood alongside with such stars as Gwen Stefani, Jennifer Lopez, Andie MacDowell and Claudia Schiffer. A few months later, Barbara took part in a photo shoot for the Massimo Dutti catalog, in the Chanel Rouge Allure lipstick advertisement, and in Victoria's Secret fashion show together with Alessandra Ambrósio, Behati Prinsloo, Lily Aldridge and Candice Swanepoel. Barbara Palvin is often compared to model Natalia Vodianova, who looks like Barbara, and to supermodel Kate Moss. Barbara met with Cara Delevingne at Victoria's Secret fashion shows. Soon they became close friends. In 2014 another Barbara Palvin’s childhood dream came true. The girl tried her hand as a film actress, playing a bit part of Antimache in Brett Ratner's Hollywood blockbuster Hercules. Dwayne Johnson, Ian McShane, and Rufus Sewell played the main roles in the film, which grossed $ 243 million worldwide. After a successful appearance on the screen, the girl awaits new invitations from directors. The personal life of the Hungarian model has always attracted attention not only fans but also the paparazzi, hunters for big news. After a joint photo with Justin Bieber, the media reported about their love affair. The news made Justin’s ex-girlfriend Selena Gomez jealous and she expressed dissatisfaction with her ex-boyfriend’s behavior on Twitter. In 2014, there was a rumor that Niall Horan, the soloist of One Direction, invited Barbara to Ireland to get acquainted with the family. Journalists anticipated the news about engagement for several weeks, when Palvin shattered expectations, calling Nail a good friend. 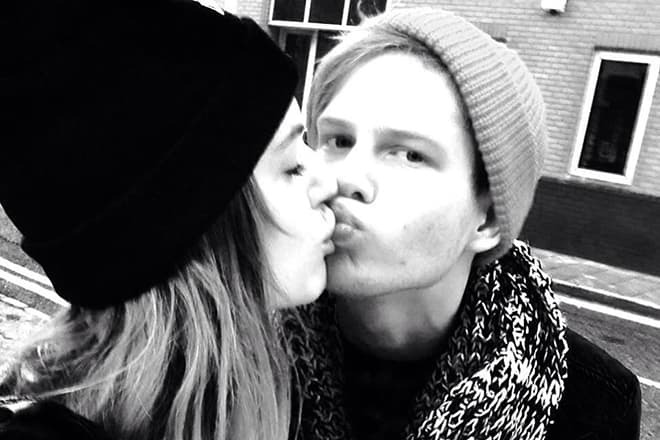 Kristof Somfai has been considered Barbara’s real boyfriend for several years. She has dated him since her school days. Touching posts dedicated to the young man occasionally appear on the model’ account on Instagram. Nowadays Barbara regularly posts new photos on her page, which has already more than 6.5 million followers. In late 2016, Barbara Palvin’s revealing photos appeared on the pages of American Maxim magazine. Barbara appeared in the LOVE magazine’s Advent calendar in the provocative image of Sharon Stone’s heroine from the cult film Basic Instinct. The Hungarian model participated in the photo shoot, as well as Bella Hadid, Irina Shayk, and Emily Ratajkowski. In 2017, Barbara Palvin starred for a special edition of Sports Illustrated in swimwear advertising and surprised readers with weight gain.